We are real estate professionals who believe in total devotion, hardwork, honesty and customer satisfaction. We understand that every customer has different needs and we provide them the solutions which is best suitable for them. We are property dealers in indirapuram and provide solutions for all kind of properties like flat, office space, independent plot etc. We also deal in the areas of Vaishali, Vasundhara and Noida. We deal in residential flats in Indirapuram. 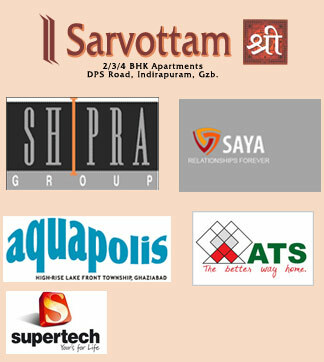 We have plenty of options for 2bhk, 3bhk and 4bhk flats in Indirapuram. If you are looking for ready to move in flats or fresh bookings we can give you the best guidance and advice.